We stock a large range of marine fish and invertebrates as well as a wide selection of freshwater fish from around the world. 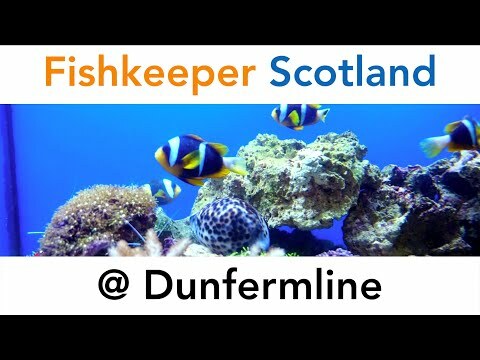 We offer everything for the Scottish Fishkeeper and cater for tropical, marine, coldwater and pond hobbyists. Marines are a particular passion of ours and we have a large range instore including livestock, high end aquariums and accessories as well as entry level starter sets. We also have our exclusive AquaOak range of premium Oak aquariums and other leading brands such as JBL, Aquamanta, AquaCare, Fluval, Vitalis, Red Sea, Hydor, Evolution Aqua, TMC, Aqua One, AquaMarin, D&D and more!